Lakewood residents have a large appetite for recycling, and Lakewood is answering with Bigbelly, an innovative way for park visitors to dispose of recyclable items and their trash while in the parks. Beginning this month, 71 Bigbelly bins will be installed in key parks such as William Hayden Park on Green Mountain, the Bear Creek Greenbelt and Bear Creek Lake Park, making it the largest deployment of Bigbelly bins in both the state and the metro area. The project also expands the Department of Community Resources’ commitment to sustainability and offers recycling options while residents are out enjoying Colorado’s great outdoors. 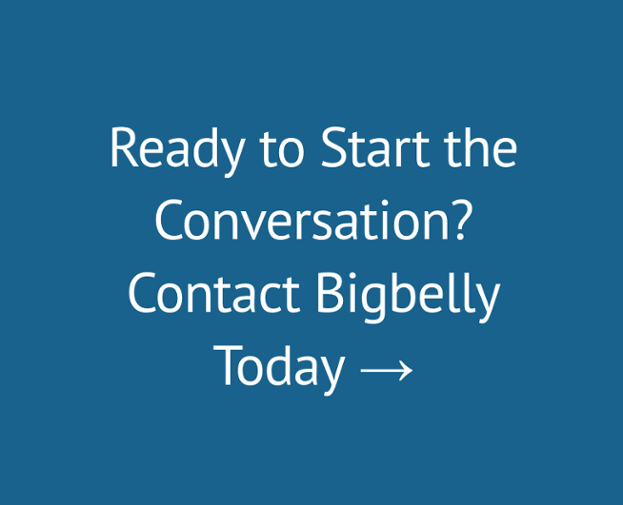 The Bigbelly smart system means what it says. The bins hold five times more material than a traditional waste bin, and the “smart” part comes from the bins having solar power, which runs compactors to compress the waste and allows the bins to send a message to city staff to empty them when they are full. By communicating their status through centralized software, the bins save the city time and fuel by allowing staff to respond only when the bins need to be emptied. Even better, the software will allow Lakewood to measure and track how much is being recycled instead of ending up in the landfill, which is important information in determining the city’s progress toward its sustainability goals. 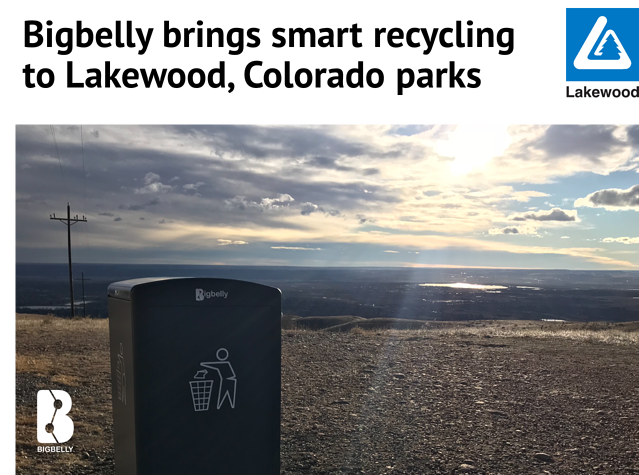 Other cities that have installed the Bigbelly bins include Denver and Fort Collins as well as Boston, New York and even London and Hamburg. The bins are easy to use with a foot pedal to open them, and they accept all recyclables in one bin, eliminating the need to sort material. The bins add to standard single-stream bins that Lakewood had already placed in 26 parks such as Addenbrooke, Belmar, O’Kane and others in 2016.